On January 5-6, the Portland Chess Club is hosting the 3rd Annual Neil Dale Memorial Open. Neil volunteer ed countless hours to chess, including running hundreds of tournaments over many decades. See more information about Neil here and here. Neil started and ran the Gresham Open on the first weekend in January many times. We now run a tournament on the first weekend in January each year at the PCC in a format similar to the Gresham Open in his honor. This tournament is a way for advanced scholastic players to get experience with a longer time control and to compete for cash prizes. The tournament is an OSCF Championship qualifier. 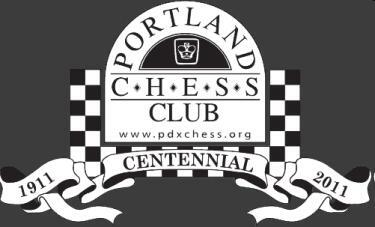 Due to space at the club facility, the tournament is limited to the first fifty players who register in person at the Portland Chess Club on January 5 from 9 am to 9:45 am. See for more information about the event at pdxchess.org.